All hail Cardi B! Since her rise to stardom, Cardi has been everywhere. Can’t blame her. You’d be accepting checks left and right too if you could. Her club bangers and hilarious interviews make Cardi B one of the most recognizable figures in pop culture today. However, I won’t be talking much about that in this review. If you don’t know who she is, then I don’t know why you’re reading this. Or any of my reviews, for that matter. I digress: This album brought along boatloads of hype. Cardi broke numerous rap and pop chart records last year. She damn near broke the Internet as well. Her summer smash “Bodak Yellow” won my Banger of the Year KAMMY Award. Despite what your feelings are towards her, that song goes hard. Personally, I’m neutral when it comes to Cardi B. I enjoy her music in small doses. The same goes for many redundant trap artists. After a while, the genre becomes stale due to uninspired songwriting and recycled themes. Cardi is no different in that regard, although she does offer something else. Personality. Lots of personality. She’s blunt and unapologetic. That tone resonates from the moment her debut begins. “Get Up 10” opens Invasion of Privacy with a bang. Even though it sounds like a classic Meek Mill intro track, Cardi’s opener proves she does not play games. Throughout the track she speaks on her journey to this current state, reminding people former strippers deserve respect too. Her hustle will not be denied. I love that about her. Like many emcees, she rose up in rags-to-riches fashion. Nevertheless, her unique path sets her apart from her contemporaries. Additionally, the transparency in her lyrics showcases her zeal and relentless sexual wit. Some of these songs are infectious. “Be Careful” is one of those. I refrained from listening to it until the album dropped. I didn’t hear great things. Plus, with all due respect, I don’t mind waiting for Cardi B music. It definitely grew on me, though. At first, her singing performance turned me away from the track. Yet over time, the song’s message of pushing through insecurity rubbed me the right way. “Bartier Cardi” is another. I listened to it once when it first dropped a few months back. Fast forward to now, and issa banger. 21 Savage contributes a hot sauce reference for the ages while Cardi flexes with the best of ’em. 30 Roc and Cheeze Beatz’s instrumental is energetic and menacing, melding the respective rappers’ skills perfectly. However, unlike 21, many of these features underwhelmed me. Chance and SZA went off. They’re safe. But Kehlani… Holy Bregoli, she was trash here. I had such high hopes for Kehlani’s artistry. She’s bold, beautiful, and super talented. Nevertheless, her music as of late has been flavorless to say the least. And not the water type of flavorless. I’m talking sugar-free-gummy-bear flavorless. The kind that give you the runs for hours. Yes, her performance is that lackluster. “Ring” is undoubtedly the blandest rap/sung collaboration you will hear all year. Take that to the bank. YG’s effort hovers around similar levels of garbage. I love YG. Both his albums are stellar. Though this performance suffers from mindless repetition and a cliché genre mold. Migos also miss the target here. Although Offset proposed and went half on a baby with Cardi, he sounds particularly unmotivated. The two have zero chemistry on this track. 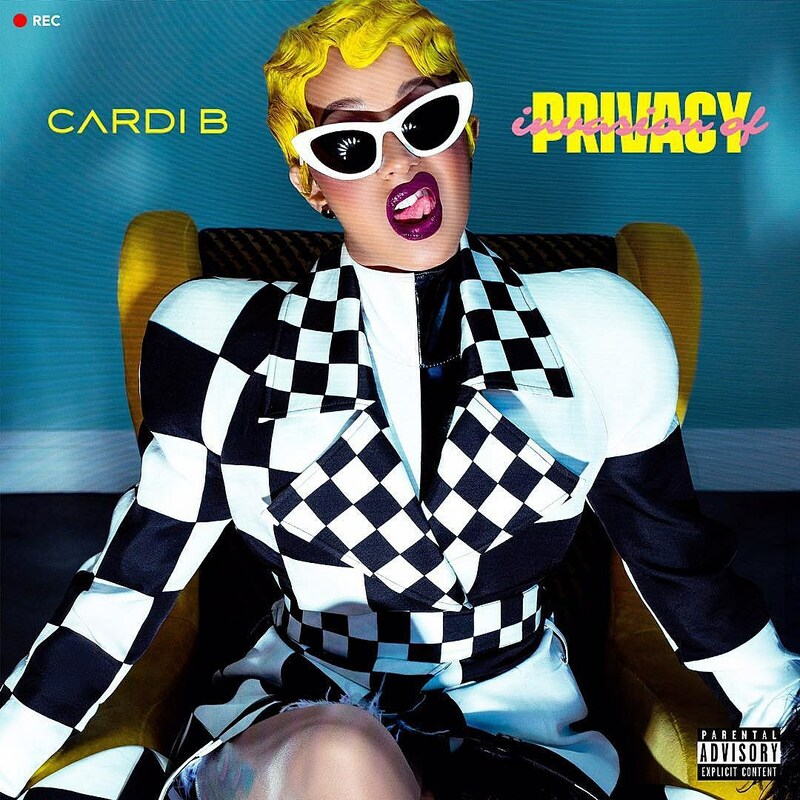 While Cardi’s debut pleasantly surprises at times, a lack of focused songwriting and keen beat selection hinders its replay value.